Following reports that Apple could be hiding the speakers under the phone’s display, Samsung is looking to one-up its primary rival, by taking this one step further. The company is reportedly working on getting rid of the aesthetic issues on the front of the phone by embedding the fingerprint sensor as well as the selfie camera under smartphone’s display. Mind you, this information comes courtesy a patent filing that reveals Samsung’s plans, but there’s no certainty on whether such a device will actually be launched or when. A patent filed by Samsung with WIPO (World Intellectual Property Organization) in 2017, which was published yesterday, suggests that Samsung is working on integrating the selfie camera and the fingerprint sensor in the display by implementing a system of ‘holes’. An electronic apparatus which has a hole area which is capable of enlarge a content through a display having a main area and an enlarged area and a controlling method thereof are provided. The hole area is formed by one of a camera, receiver, optical sensor, and a home button. Now, in-display fingerprint sensors are not anything new. Chinese smartphone maker, Vivo, recently showcased a fully-functioning smartphone with a fingerprint sensor embedded in the display. But Samsung has one-upped Vivo by placing the fingerprint sensor as well as the front camera in the display. 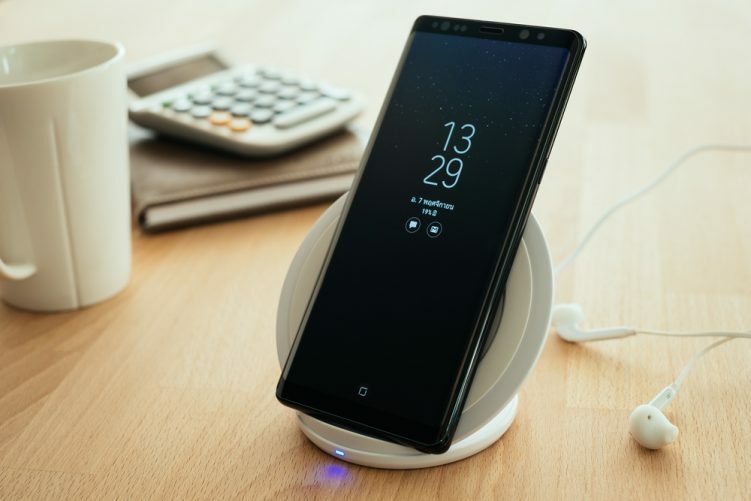 As reported by LetsGoDigital.nl, which first came across Samsung’s patent application, the method titled ‘Electronic Apparatus Having a Hole Area Within Screen And Control Method Thereof’, describes two possible methods of implementing its idea. The first one states that the fingerprint sensor will be placed under the display, much like Vivo’s implementation, while the selfie camera will be accommodated in a tiny notch. 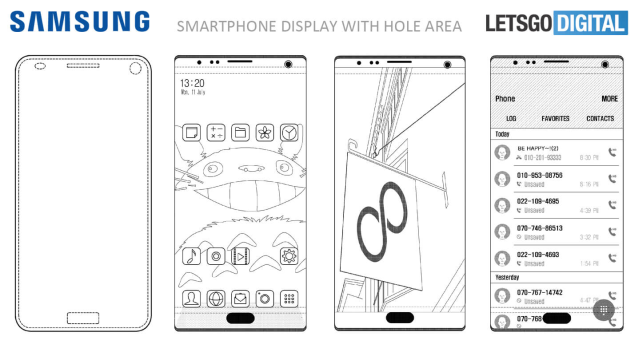 Another option being explored by Samsung is to make physical cut-outs (holes) in the display to house the home button and the front camera, giving a floating appearance to the sensors around the screen. While we don’t know whether this patent will ever be used in a real product, it does give us a hint as to where the world’s leading companies are expecting smartphone design to be in the next few years.